Summer to me is the beach, the sun but at night – perhaps under the stars in the soft breeze and maybe a fire pit a great opportunity for some real family bonding. In our home, we use these nights (or even a rainy day!) for a family game experience. We got a few new ones this week that you will all be sure to love as much as we do! 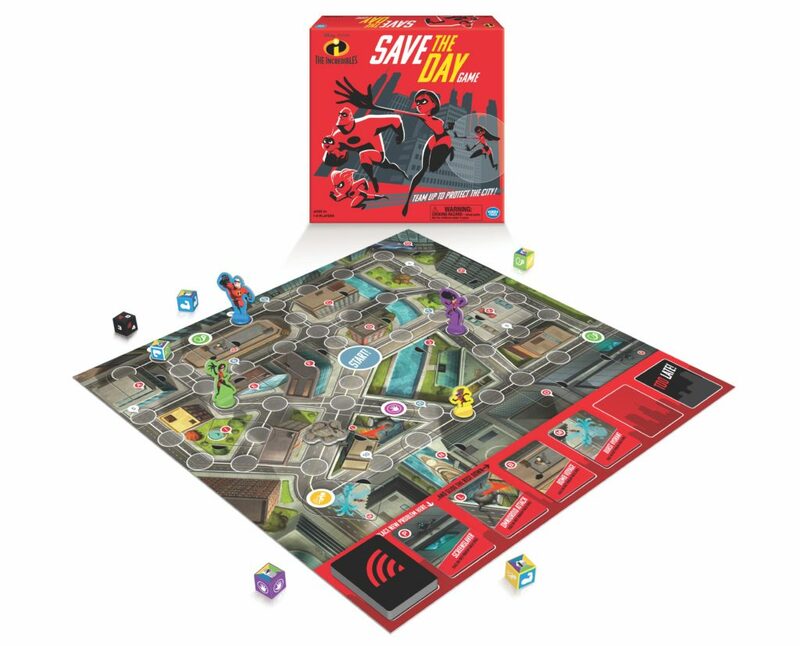 The Incredibles Save The Day: (great for ages 6+) Just in time for Incredibles 2 to be released in theatres! Your kid’s will love playing this one! Each player has a unique power and you all work together to solve the crimes and challenges ahead! Pictopia Harry Potter Edition: (ages 7+) This game is all about picture trivia questions about your favorite Potter characters, creatures and enchanted objects. You can work together or play alone and wager if you really think you know the answer! We love this one! Escape Room The Game: (ages 16+) The game is great for your older kids and teens who have probably already been to an escape room party or event. Players have to work together to solve puzzles and find clues in an effort to race against the 60 minute clock you have! You win or lose all together! Need another escape theme? Try an expansion pack like Welcome To Funland for a totally new experience! Rubik’s Battle Card Game: (ages 7+) This game is great for packing on any summer trips you have planned. We played last night and laughed for hours! This is game of quick brain action. Earn cards by shouting out a unique color first – if someone has a matching card be the first to yell “Rubik’s Battle” and you get all their cards! Who’s The Dude? : (ages 16+) This game of charades is another great options for your teens. You literally play the game with an “inflatable dude” that you use to act out as many situations as possible. Other players have limited time to guess and the goal is to earn as many points as possible. Laughs will surely be flowing! Surprise Slides Disney Princess Edition: (ages 3+) This adorable game features your favorite princesses like Jasmin, Cinderella and Rapunzel. It is a race to the castle but be careful because the course of the board and the scenes can change at any moment! My daughter played this with my neighbor’s 3-year-old earlier today and they had the best time! I gave you some awesome ideas….now run out and grab some games!